I missed WOW last week! Not to worry though, I have returned and brought GOODIES! A paranormal mystery involving London's most notorious killer. In 1888, following her mother's sudden death, seventeen-year-old Arabella Sharp goes to live with her grandmother in a posh London neighborhood. At her grandmother's request, Abbie volunteers at Whitechapel Hospital, where she discovers a passion for helping the unfortunate women and children there. That sounds like just my kind of book. Gonna add it to my list! Thanks! This does look like a great story. 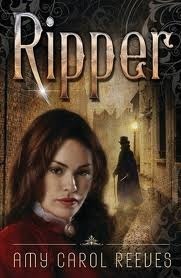 I have always been interested in Jack the Ripper, probably because of the mystery of no one knowing for sure who he was. Thanks for the great review!